Be Surprised! 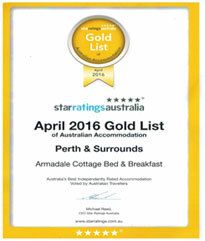 Beautifully appointed, spacious rooms with attention to detail; Armadale Cottage Bed & Breakfast is unique and a hidden treasure at the gateway to the Southwest. Armadale Cottage Bed & Breakfast is the ideal accommodation option for business, a family holiday or a romantic weekend getaway. This Gold Star property offers a variety of spacious rooms all with ensuites, WiFi and Foxtel, laundry facilities and free parking along with a superb, freshly cooked breakfast. Located just outside the vibrant Armadale CBD near the Armadale Visitor Centre, this charming cottage offers easy access to all the attractions of the Perth Hills, Roleystone and the Peel region. 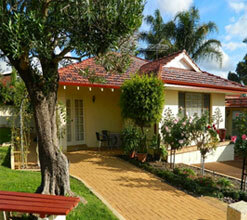 Visit the website www.armadalecottage.com.au. 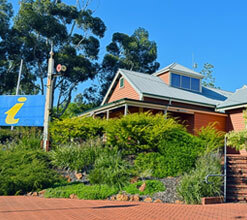 3161 Albany Highway, Armadale (08) 9497 1663. There's always something cool happening at Cockburn Ice Arena! Whether it's coming down to the rink for a public session, taking up ice hockey, enrolling in a Learn to Skate class, booking a birthday party, or bringing your school down for an excursion, the rink has something for everybody. Their pro shop also stocks Perth's largest range of ice hockey, inline and figure skating gear at very competitive prices. 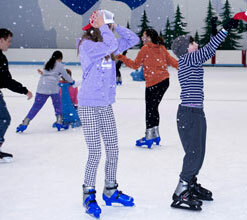 Located south of Perth on Progress Drive, Bibra Lake, Cockburn Ice Arena is Perth's largest and newest ice sports venue, boasting the WA’s only full Olympic sized ice rink. Go to www.cockburnicearena.com.au. A number of local businesses attended the Business Armadale Showcase, held at the Armadale Visitor Centre, to promote their product to the industry. 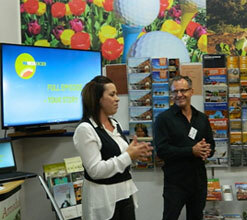 Members of the Armadale Visitor Centre, Trish and Tim (pictured above) from Bella Hair and Day Spa, Matt and Johana from Araluen Golf Resort and Grant from Araluen Botanic Gardens presented a snapshot of their products and upcoming events to the Business Armadale Members. The evening was fun and informative, and a great opportunity to network and make new connections. It’s onwards and upwards for Business and Tourism in Armadale. 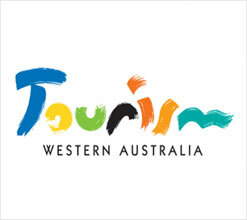 WA recorded a 10 per cent jump in overall visitor numbers, an eight per cent increase in visitor nights and a seven per cent rise in visitor spending in the year ending March 2016, helping to drive the value of tourism in the State to $9.3 billion, according to Tourism Research Australia (TRA). The $9.3 billion visitor spend – almost half of which ($4.3 billion) was spent in regional WA – means the industry is on track to reach the State Government Tourism Strategy’s goal of $12 billion by 2020. 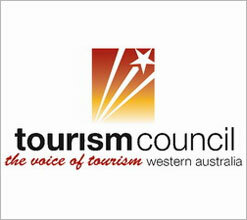 Head to the Tourism WA corporate website for more information including links to summary documents prepared by Tourism WA’s research team. Last days to register your interest for this important event. The Armadale Visitor Centre would like to thank all of our current members who have renewed their membership or recently signed up as new members. We are here to be of service to you and represent you and your product to the travelling public and locals. If you are not yet a member, and wish to sign-up, please send an email to us at visitorcentre@armadale.wa.gov.au and we will send you a prospectus.